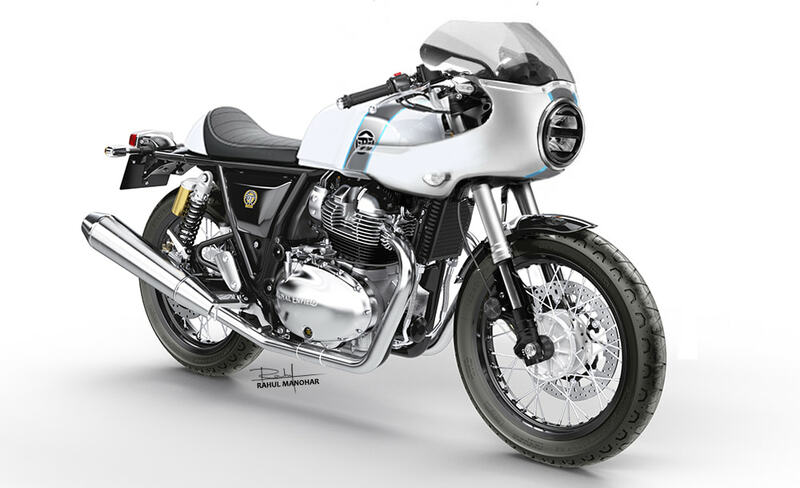 Motorcycle enthusiast and visual artist, Rahul Manohar has come up with digital renderings of the Royal Enfield Continental GT 650 with a classic café racer fairing and other feature additions. The Royal Enfield Continental GT 650 Classic Cafe Racer features a modern-retro semi-fairing that lends it an authentic character. On 05 January, we brought you an exclusive rendering of the Royal Enfield Continental GT 650 Classic from our digital manipulator, Shoeb R Kalania. That said, this particular render takes the game ahead by a few notches. 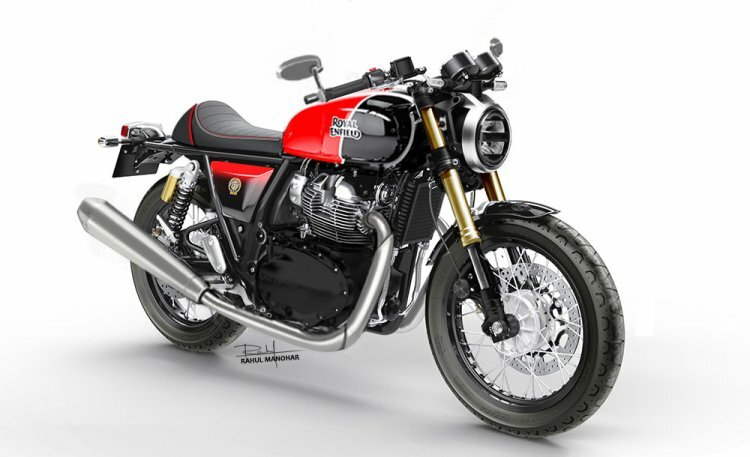 As compared to the stock Continental GT 650, the rendering features a classic café racer fairing with a custom LED headlight and upside-down forks. The other Royal Enfield Continental GT 650 features a round bikini LED headlight with a brushed silver nacelle, bar-end mirrors and a single ‘café racer-style’ seat. The motorcycle gets gold-finished USD front forks and a brushed aluminium treatment to the exhaust. The Royal Enfield Continental GT 650 is painted in the shade of ‘Ravishing Red’ from the Interceptor 650 Custom colour catalogue. The mudguards, rims engine casings and the triple-clamp receive black treatment, which adds to the sporty character of the bike. The Royal Enfield Continental GT 650 renderings are so immaculate that we would’ve really appreciated if the company has offered these as an official variant. If ever Royal Enfield plans to introduce such an option of the Continental GT 650 in India, it will join the league of the Triumph Thruxton R.
The digital artist has borrowed the LED headlight and USD forks from the Honda CB300R. The Royal Enfield Continental GT 650 Cafe Racer features a dual-tone paint scheme. The Continental GT 650 employs a 648cc, 8-valve, parallel-twin SOHC engine that pumps out 47 bhp of power along with a peak torque of 52 Nm. The motor is mated to Royal Enfield’s first slipper-clutch assisted 6-speed transmission.